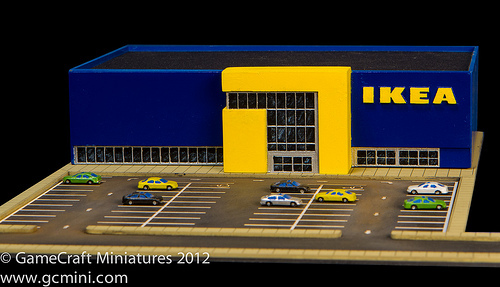 Another sweet looking apartment building in 1/285th scale (6mm). This model identical to 285CSS152 except it’s a about an inch narrower across the front making it a better fit for smaller spaces in your city. This model should work fine for most Middle East and African areas as well as near future scenarios. With the right finishes there is no reason this couldn’t fit in Eastern European setting as well. 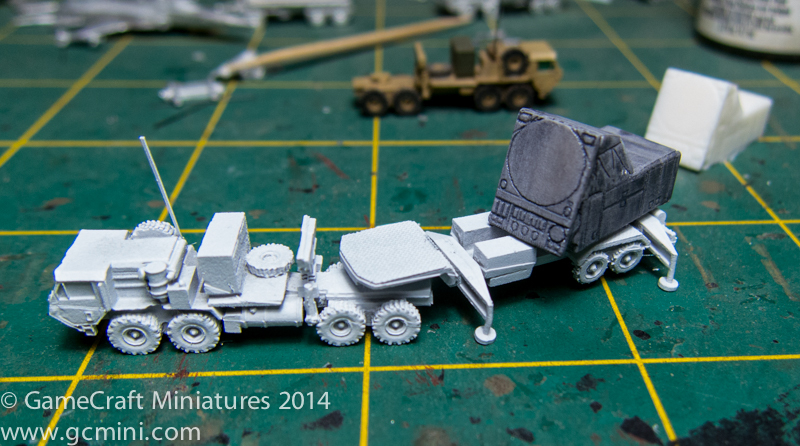 Early work-in-progress version of the Patriot AN/MPQ-53 radar. The trailer is the same as the Patriot trailer with the exception of the removal of the forward generator and a full sheet of “diamond plate” put in it’s place. 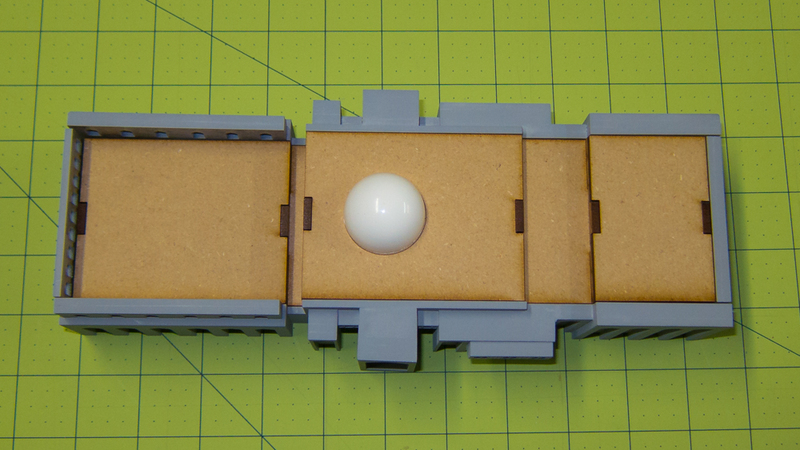 Much fine tuning needs to be done to the radar unit itself and then I’ll make the mold and start casting them. Should be about another week. 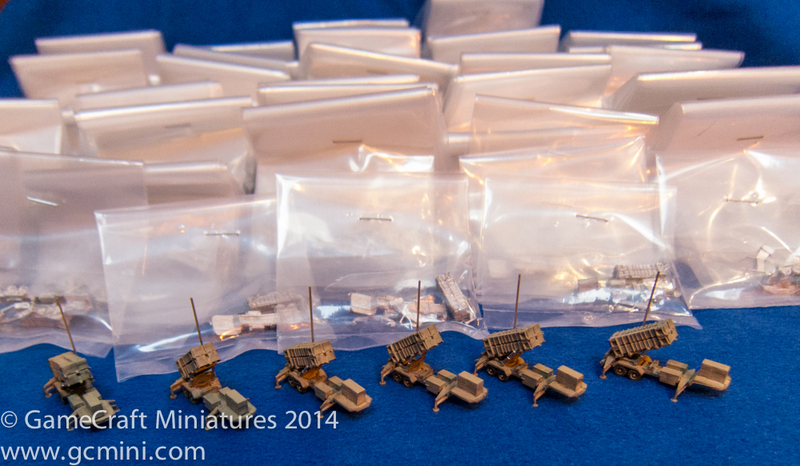 The day is finally here and I’m proud and excited to release the new GameCraft Miniatures 1/285th scale (6mm) Patriot Missile Launcher. I know, those of you that game in 15mm, 20mm and 28mm are rolling your eyes right now … but this is big day for me. This project has been a labor of love for me. 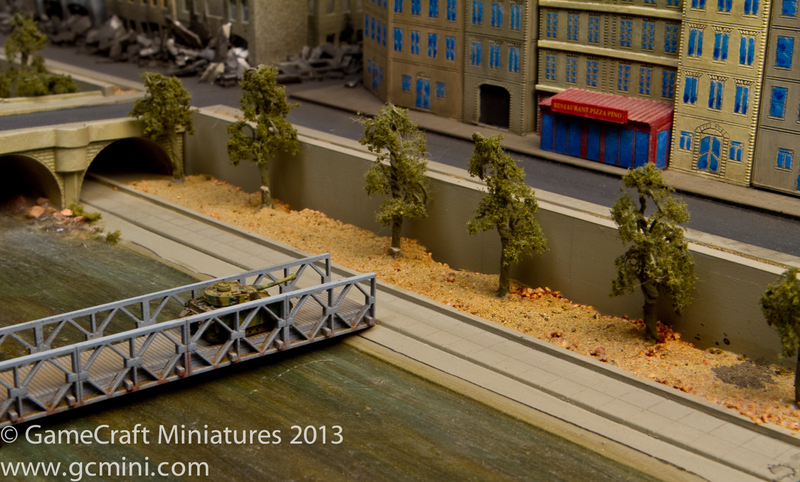 I am a 1/285th scale (6mm) gamer and I’m a lifelong collector and fan of the miniatures produced by GHQ Miniatures. 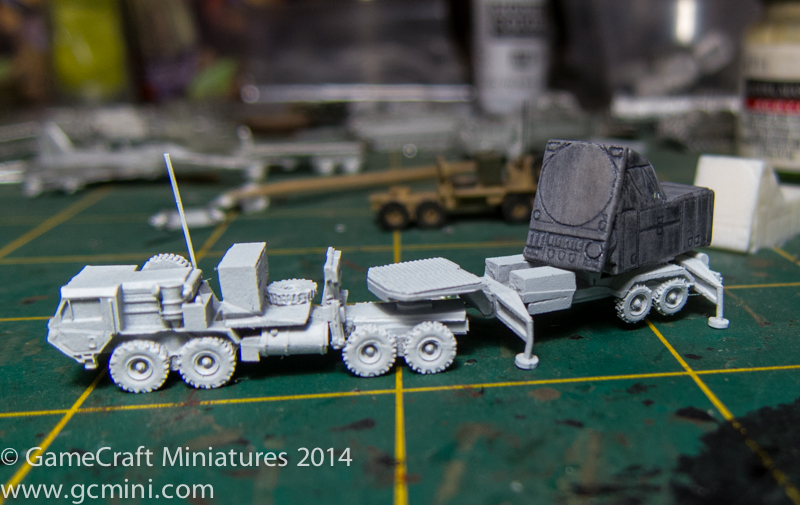 So when I decided that I would release my first 1/285 the scale vehicle miniature in soft metal I made myself a promise that I would try as hard as I could to release something on par with the quality of GHQ’s products … a very tall order indeed considering that they started producing soft metal castings of military vehicles right around my 4th birthday. Furthermore, we’ve all seen 6mm miniatures from other companies that look like the masters were carved from blocks of soap, I certainly did not want to enter the market as just one more of those guys either. I’ve been working on this project for many months and have gone through several versions of this miniature, improving it with each generation and now I have something I can be proud of and release to the Micro Armor gaming world. I’m very happy with the way this piece turned out and if you agree, it’s available today to add to your collection. If you have been waiting for this piece to be released, I thank you for your patience as I endlessly fussed with this to get it the way I wanted it. 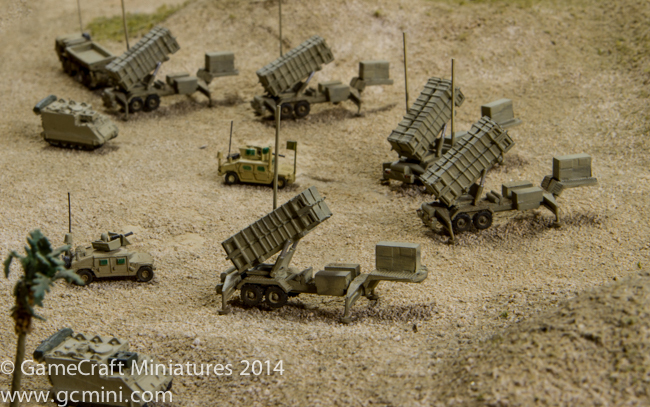 The Patriot Missile Launchers are in stock and ready to ship now. 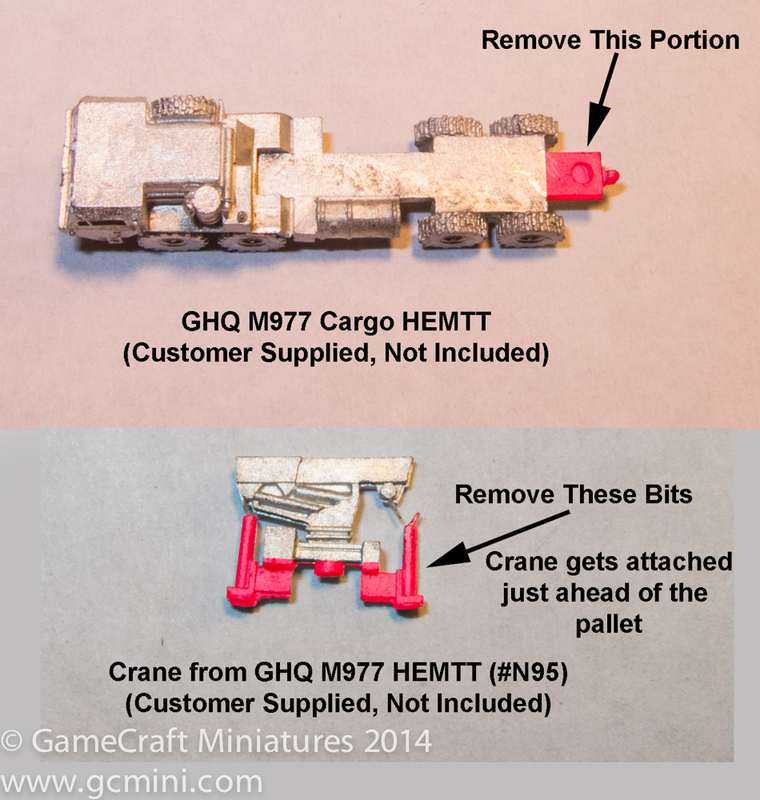 This conversion kit converts one GHQ N95 HEMTT (NOT INCLUDED) into an M1074 Palletized Load System (PLS). All parts in this kit are cast in Pewter. Look at all the photos to see instrucitons on making the conversion. The Palletized Load System (PLS) is a logistics supply program that entered service in the United States Army in 1993. It performs line haul (long distance), local haul (short distance), unit resupply, and other missions in the tactical environment to support modernized and highly mobile combat units. It provides rapid movement of combat configured loads of ammunition and all classes of supply, shelters and containers. Here’s something some guys have been waiting a long for. The kit (number 285CSS033) is available in three different lengths; 3.52″, 7.04″, and 10.56″. 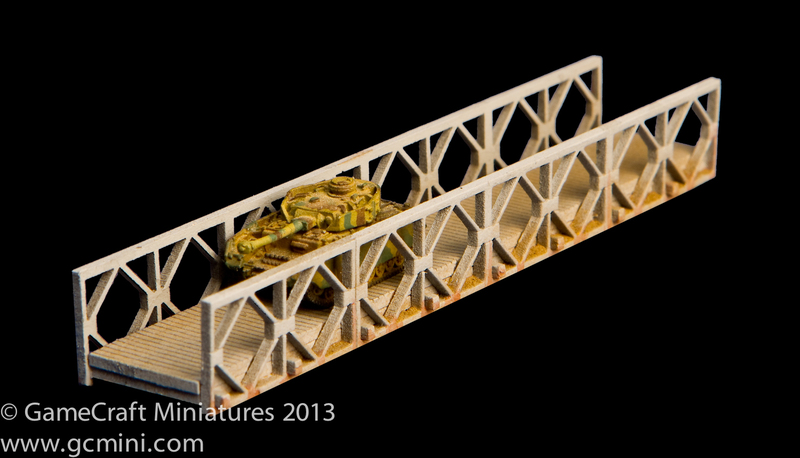 I am working on this new piece for our 285th scale middle east collection. This is the Al Sijood Palace in Baghdad Iraq. This will be a resin cast kit that comes in several pieces. I’ve taken some liberties in scaling this building down, the actual building in 1/285th scale would be about 16″ long … I’ve cheated a bit and got it down to a more reasonable 10″ long while still maintaining an impressive size. I’m doing something very new with this kit, creating a mixed media kit. 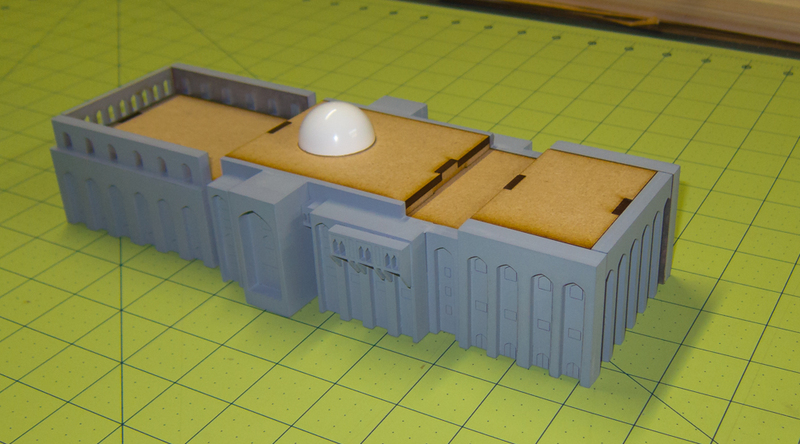 The 4 walls and the dome will be resin castings and the roof and internal structure will be MDF. 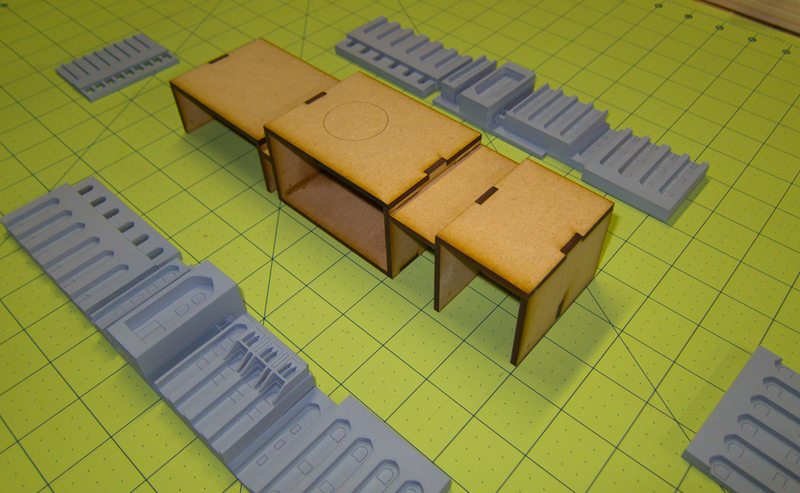 These photos show the internal frame structure that is made of laser cut MDF. This internal structure also makes up the roof pieces. Note: the dome will not be a perfect hemisphere like the one shown, the Al Sijood Palace has a dome with a slight point to it’s top ,, the white dome shown here is for demonstration purposes only.